This is a game where you have to find the place within the bf2 demo where a screenshot is taken. -someone posts an ingame image from within the bf2 demo, must be within the level boundries. 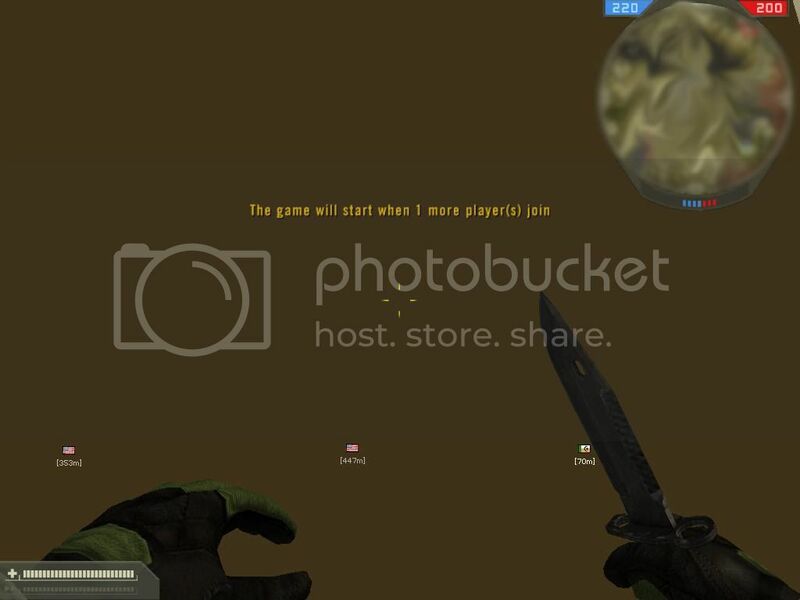 -turn hud off or blur out the minimap so you can not see where the image is. -look for the object or place of where the screenshot is taken and take a screenshot of it yourself for proof, post it here. your turn to post an ingame screen for us to find. Now go look for where this exciting screenshot could have been taken, -its not underwater or on a vehicle. post screenshot of proof if you find it or ask for a hint if your stuck. dude, how are we gonna find the blank spot? The distances match (roughly), the color matches, even the minimap matches (with a little bit of imagination). Is this correct? If yes, I'm gonna post my screenshot next. here is the correct pic, posted it since its prob too hard to find. anyway next person to post there screen can post it to continue the game. lol compare the minimap from this pic and cochranes.. so close but so far away.